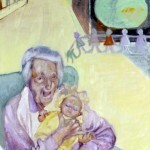 Among the portraits I have painted was a series entitled “Life’s Opposite Ends”. 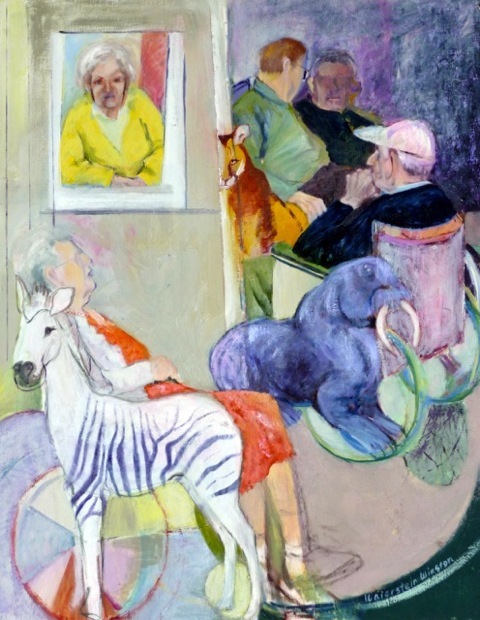 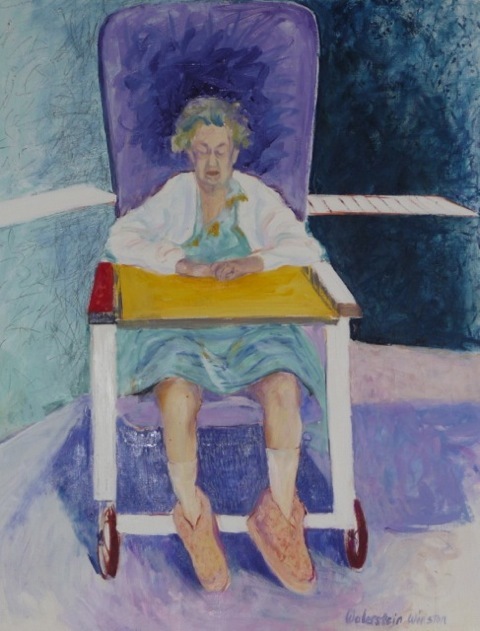 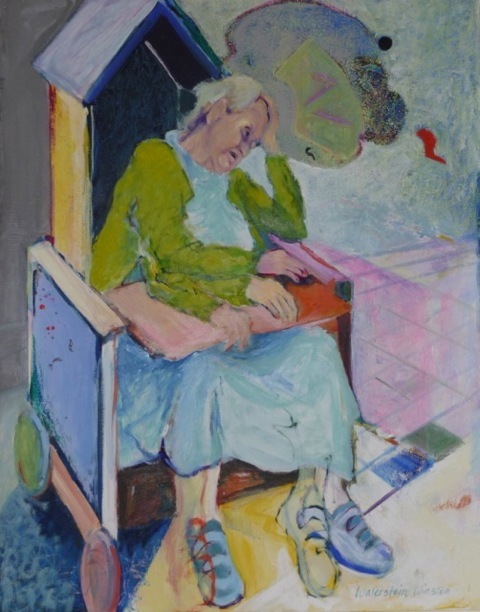 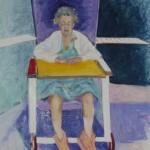 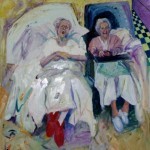 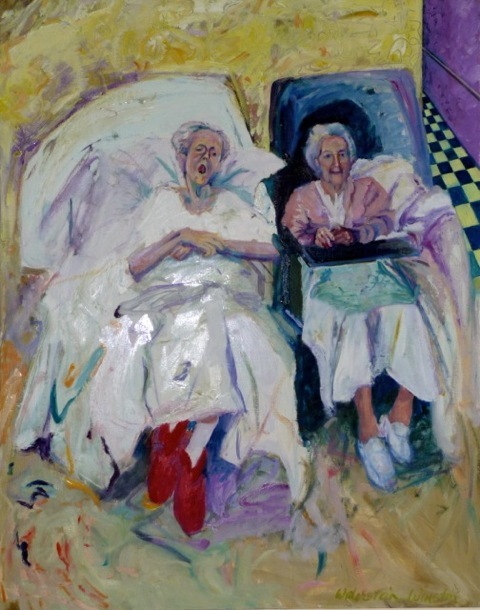 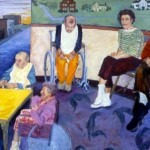 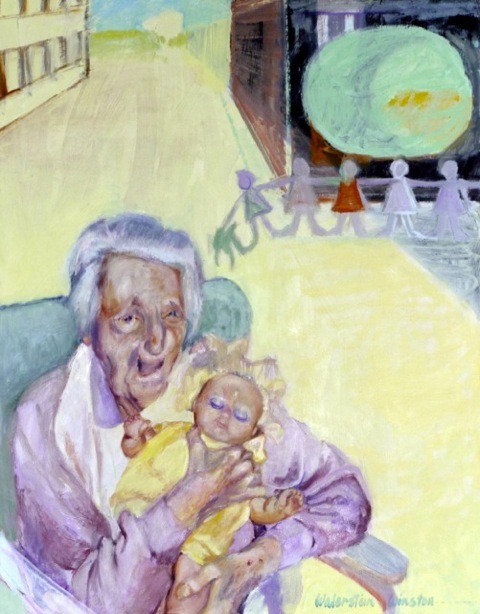 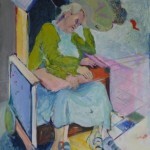 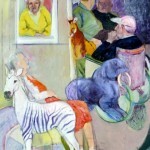 These paintings examined the effects of Alzheimer’s disease, the product of time spent visiting my mother in a nursing home. 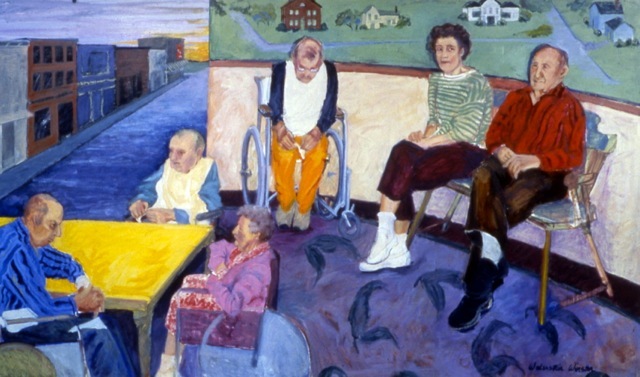 I tried to represent the monotony and frustration that visited upon these people as the disease detached them further from their family, friends and surroundings.